Since September of 2000, The Government of Alberta requires that all condominiums and townhouses have a capital reserve fund set aside to fund repairs and replacement of the common property. The reserve study and written report must be prepared by a qualified person at least once every five years. Provided that all condo fees have been paid and are up to date - there should usually be the required funds available in the reserve fund to cover any major or minor roof repair. 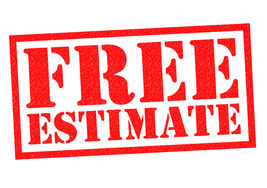 Repair work assessment can usually be determined by a survey of residents for any signs of leaks in their units and a visual check of the roof for missing shingles or wind damage. How does a townhouse/condo complex replace the entire roofing system of a 25, 75 or 150 unit complex. Many of the original sloped roof systems built in the 1980s and 1990s have likely surpassed or are approaching their life expectancy. 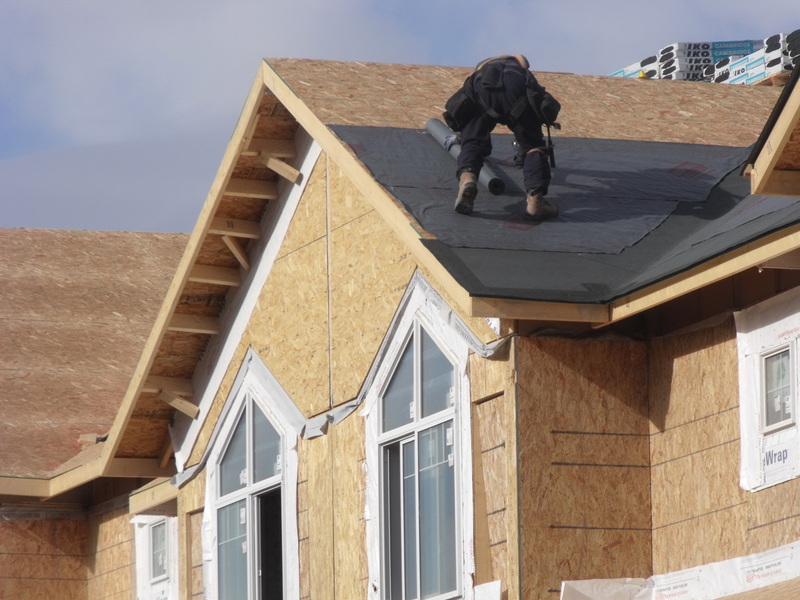 In order to save money and increase profit margins - many condo/townhouse developers used only roofing materials that met only the minimum provincial building code requirements. A new roof or re-roof will probably be one of the most expensive and complex project a condo/townhouse complex will undertake. We always advise that your condo/townhouse board or property management company obtain professional advice from a roofing consultant or engineer before proceeding. Multiple tender bids, proper specifications, a qualified contractor and professional supervision and certification upon completion are all essential. Roofing materials now come with upwards of 20, 25, 30 and some lifetime warranties are also available. Always ask about how the cost of extending your warranty is reflected on a cost-per-year basis. Modern roofing materials are available in wide array of aesthetically attractive textured styles and colours. It is important to factor these costs to match the current reserve fund and future cash flow projections. It is quite possible that the style or colour of the original roofing material is no longer available. But through our extensive list of suppliers - we can assist the condo/townhouse board can finding satisfactory alternatives. Dramatic changes have been made in our building codes over the last several years. Plastic protection is no longer permitted and has been replaced by more durable products. Fiberglass sheets together with ice and water shields are becoming the material of choice. Roof slope, roof design and overhang determine the span on the roof slope in addition to the type of eaves protection required. To extend the roof's life expectancy - rake edge and metal drip edge flashing are more common. New vents and flashing should normally be installed with a new roof. Sometimes existing components can be salvaged and reused. Innovations in high grade caulking compounds can also extend the life expectancy of vents and flashing. We strongly caution against re-roofing over an existing roofing layer. It is important to perform a thorough roof inspection prior to installing a new roof. Re-roofing does not provide an opportunity to inspect, upgrade or replace any of the roofing components already described above. Re-roofing can also create cosmetic and appearance problems with a new roof. The replacement of a custom roofing system, flat roof system, cedar shingles, composite, slate, metal, asphalt or other roofing system will all have different specifications that require qualified, experienced and professional roofing contractors. Condominium boards and property management companies need to ensure that the safety of roofing contractors and residents is the first priority. Calgary Roofing Solutions works to comply with all regulations of the Occupational Health and Safety Act for new construction and retrofits. Liability Insurance and WBC coverage are included in any roofing contract with Calgary Roofing Solutions. Material, performance, labour and payment bonding insurance requires the strict adherence to all insurance documents and specifications. Your condominium board or property manager should always check the references we provide during before finalizing any tender. It is important to compare other similar projects to their condominium complex to evaluate the level of service other roofing customers have experienced. Remember: A new condominium/townhouse roof is one of the largest expenditures your condo board will ever undertake. investment and ensure trouble free roofing in the future. "The Cheapest Price May Not Always Be The Best Price".